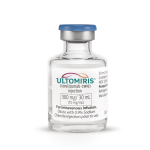 "We are proud to bring ULTOMIRIS to patients suffering from this devastating disease less than a year after reporting our positive Phase 3 data"
The approval of ULTOMIRIS comes ahead of the Prescription Drug User Fee Act (PDUFA) date of February 18, 2019, set by the FDA as part of an expedited eight month review following Alexion’s use of a rare disease priority review voucher. 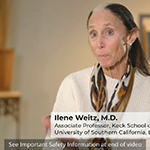 This approval is based on comprehensive results from two Phase 3 studies, which were recently published in Blood.9,10 In these studies, which included 441 patients who had either never been treated with a complement inhibitor before, or who had been stable on SOLIRIS, the efficacy of ULTOMIRIS administered every eight weeks was non-inferior to the efficacy of SOLIRIS administered every two weeks on all 11 endpoints. 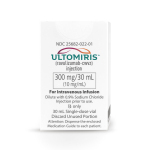 The safety profile of ULTOMIRIS was similar to that of SOLIRIS. Recently presented additional data showed that ULTOMIRIS provided immediate and complete C5 inhibition that was sustained for eight weeks,11 and that ULTOMIRIS eliminated breakthrough hemolysis associated with incomplete C5 inhibition.12 The entire clinical development program for ULTOMIRIS to date represents more than 600 patient years of experience. 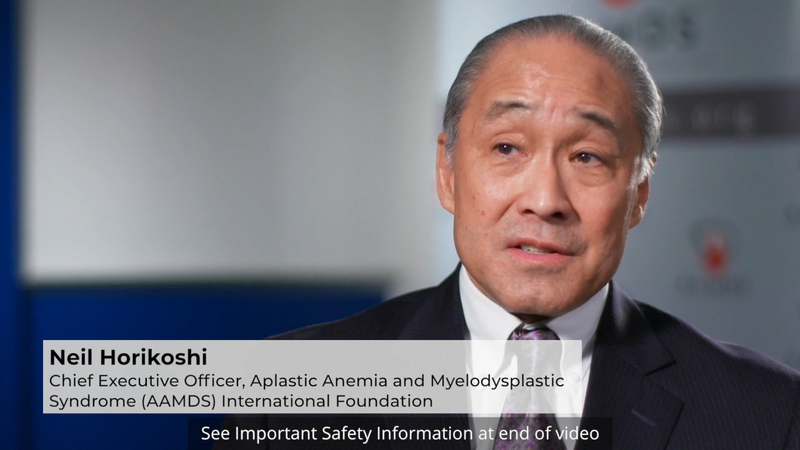 Regulatory authorities in the European Union (EU) and Japan have accepted and are reviewing applications for the approval of ULTOMIRIS as a treatment for adults with PNH. Alexion continues to work with the authorities to enable timely reviews. 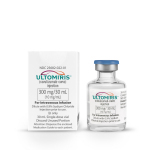 ULTOMIRIS is a prescription medicine called a monoclonal antibody. 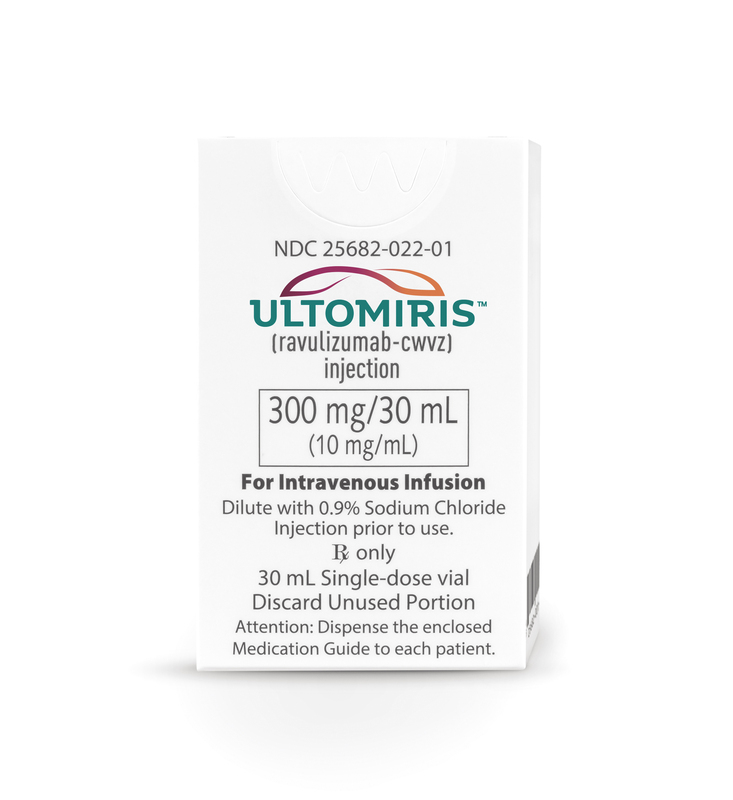 ULTOMIRIS is used to treat adult patients with a disease called Paroxysmal Nocturnal Hemoglobinuria (PNH). Alexion works with private healthcare organizations, policymakers and governments so that patients with rare diseases have access to the therapies they need. As part of our commitment to patients with PNH in the U.S., Alexion offers OneSource™, a personalized program that provides education, assistance with access and treatment support for patients and their caregivers. 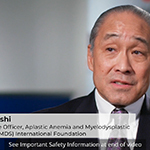 We recognize, however, that access to medicines can be challenging and are committed to supporting programs that enable eligible patients to receive our therapies. 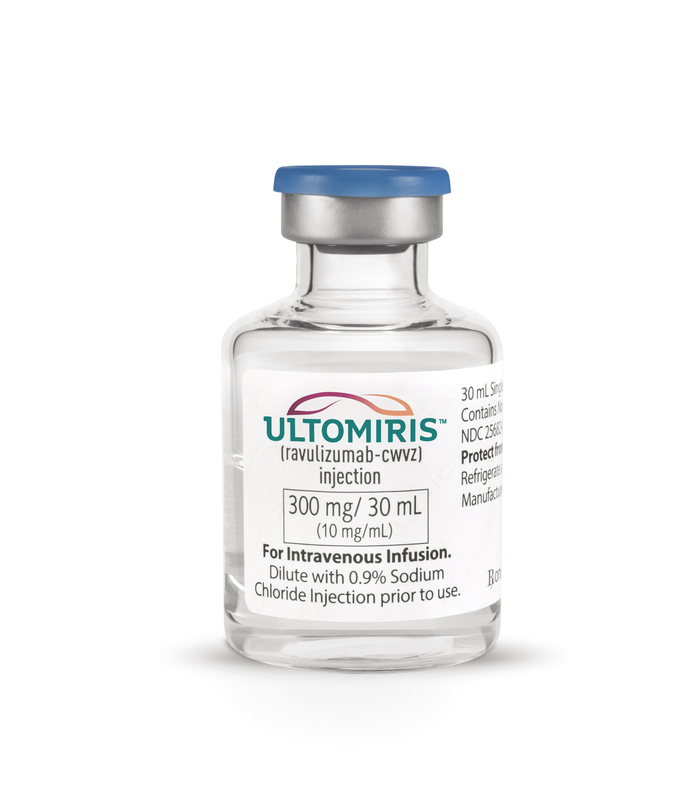 ULTOMIRIS™ (ravulizumab-cwvz) is the first and only long-acting C5 inhibitor administered every eight weeks that works by inhibiting the C5 protein in the terminal complement cascade, a part of the body’s immune system that, when activated in an uncontrolled manner, plays a role in severe ultra-rare disorders like paroxysmal nocturnal hemoglobinuria (PNH), atypical hemolytic uremic syndrome (aHUS), and anti-acetylcholine receptor (AchR) antibody-positive myasthenia gravis (MG). 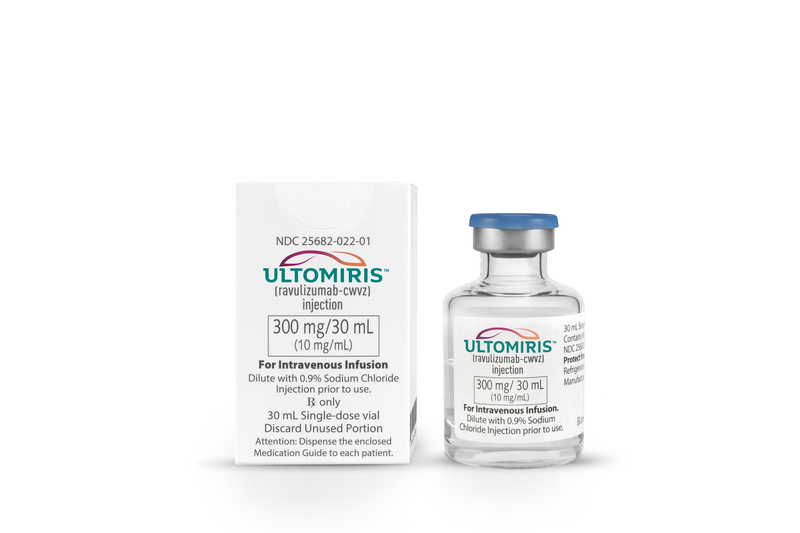 ULTOMIRIS is approved in the U.S. as a treatment for adults with PNH. 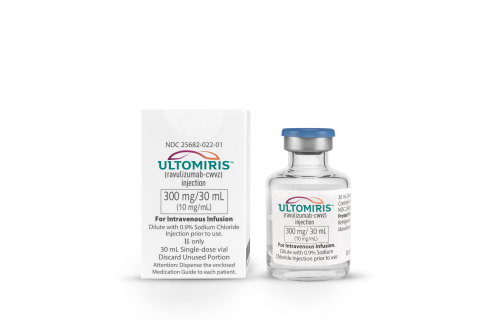 Regulatory authorities in the European Union (EU) and Japan have accepted and are reviewing applications for the approval of ULTOMIRIS as a treatment for adults with PNH. In Phase 3 clinical studies in complement inhibitor-naïve patients with PNH,9 and patients with PNH who had been stable on SOLIRIS (eculizumab),10 intravenous treatment with ULTOMIRIS every eight weeks demonstrated non-inferiority to intravenous treatment with SOLIRIS every two weeks on all 11 endpoints. 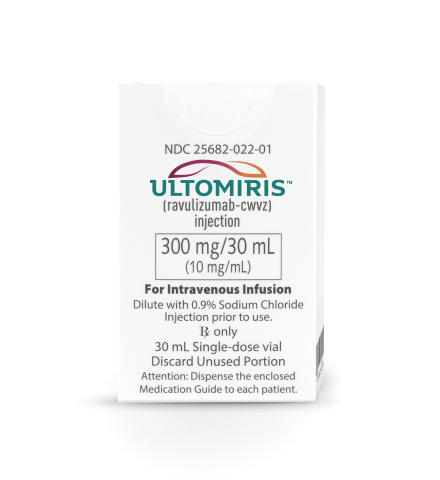 ULTOMIRIS is also currently being evaluated in a Phase 3 clinical study in complement inhibitor-naïve patients with aHUS, administered intravenously every eight weeks. In addition, Alexion plans to initiate a Phase 3 clinical study of ULTOMIRIS delivered subcutaneously once per week as a potential treatment for patients with PNH and aHUS. 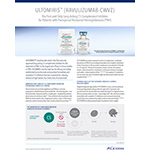 Alexion is also planning to initiate the development of ULTOMIRIS, intravenously administered every eight weeks, as a potential treatment for patients with generalized MG (gMG). SOLIRIS® is a first-in-class complement inhibitor that works by inhibiting the C5 protein in the terminal part of the complement cascade, a part of the immune system that, when activated in an uncontrolled manner, plays a role in severe rare and ultra-rare disorders like paroxysmal nocturnal hemoglobinuria (PNH), atypical hemolytic uremic syndrome (aHUS), and anti-acetylcholine receptor (AchR) antibody-positive myasthenia gravis (MG). SOLIRIS is approved in the U.S., EU, Japan and other countries as a treatment for patients with PNH and aHUS, in the U.S. for the treatment of adult patients with generalized MG (gMG) who are anti-AchR antibody-positive, in the EU as the first and only treatment of refractory gMG in adults who are anti-AchR antibody-positive and in Japan for the treatment of patients with gMG who are AChR antibody-positive and whose symptoms are difficult to control with high-dose intravenous immunoglobulin (IVIG) therapy or plasmapheresis (PLEX). SOLIRIS is not indicated for the treatment of patients with Shiga-toxin E. coli-related hemolytic uremic syndrome (STEC-HUS). SOLIRIS has received Orphan Drug Designation (ODD) for the treatment of patients with PNH in the U.S., EU, Japan and many other countries, for the treatment of patients with aHUS in the U.S., EU and many other countries, for the treatment of patients with MG in the U.S. and EU and for the treatment of patients with refractory gMG in Japan. Alexion and SOLIRIS have received some of the pharmaceutical industry's highest honors for the medical innovation in complement inhibition: the Prix Galien USA (2008, Best Biotechnology Product) and France (2009, Rare Disease Treatment). SOLIRIS is a prescription medicine called a monoclonal antibody. SOLIRIS is used to treat patients with a disease called Paroxysmal Nocturnal Hemoglobinuria (PNH). It is not known if SOLIRIS is safe and effective in children with PNH. SOLIRIS is a medicine that affects the immune system. SOLIRIS can lower the ability of your immune system to fight infections. SOLIRIS increases your chance of getting serious and life-threatening meningococcal infections. Meningococcal infections may quickly become life-threatening and cause death if not recognized and treated early. You must receive meningococcal vaccines at least 2 weeks before your first dose of SOLIRIS if you have not already had this vaccine. If your doctor decided that urgent treatment with SOLIRIS is needed, you should receive meningococcal vaccination as soon as possible. If you have not been vaccinated and SOLIRIS therapy must be initiated immediately, you should also receive 2 weeks of antibiotics with your vaccinations. If you had a meningococcal vaccine in the past, you might need additional vaccination before starting SOLIRIS. Call your doctor or get emergency medical care right away if you get any of these signs and symptoms of a meningococcal infection: headache with nausea or vomiting, headache and fever, headache with a stiff neck or stiff back, fever, fever and a rash, confusion, muscle aches with flu-like symptoms, and eyes sensitive to light. SOLIRIS is only available through a program called the SOLIRIS REMS. SOLIRIS may also increase the risk of other types of serious infections. If your child is treated with SOLIRIS, make sure that your child receives vaccinations against Streptococcus pneumoniae and Haemophilus influenzae type b (Hib). 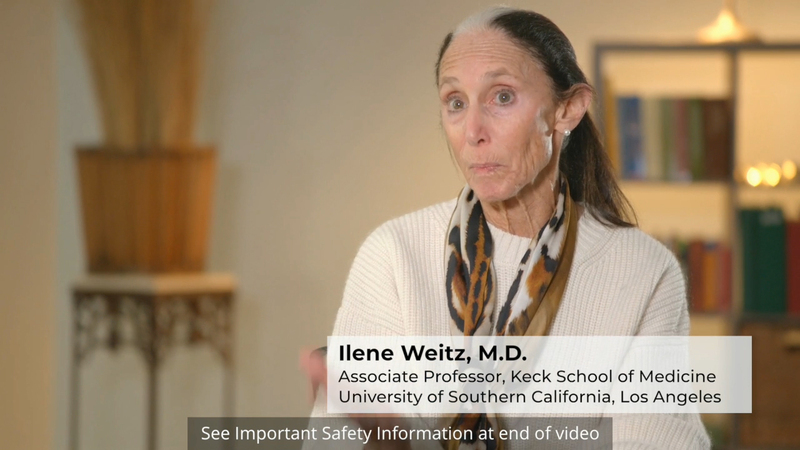 Certain people may be at risk of serious infections with gonorrhea. Talk to your doctor about whether you are at risk for gonorrhea infection, about gonorrhea prevention, and regular testing. Certain fungal infections (Aspergillus) may also happen if you take SOLIRIS and have a weak immune system or a low white blood cell count. Before you receive SOLIRIS, tell your doctor about all of your medical conditions, including if you: have an infection or fever, are pregnant or plan to become pregnant. It is not known if SOLIRIS will harm your unborn baby, or are breastfeeding or plan to breastfeed. It is not known if SOLIRIS passes into your breast milk. Tell your doctor about all the medicines you take, including prescription and over-the-counter medicines, vitamins, and herbal supplements. SOLIRIS and other medicines can affect each other causing side effects. It is important that you: have all recommended vaccinations before you start SOLIRIS, receive 2 weeks of antibiotics if you immediately start SOLIRIS, and stay up-to-date with all recommended vaccinations during treatment with SOLIRIS. Know the medications you take and the vaccines you receive. Keep a list of them to show your doctor and pharmacist when you get a new medicine. 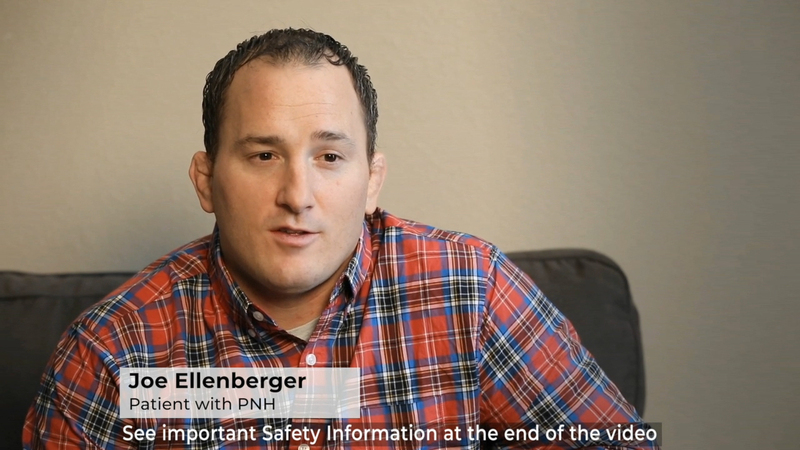 If you have PNH, your doctor will need to monitor you closely for at least 8 weeks after stopping SOLIRIS. Stopping treatment with SOLIRIS may cause breakdown of your red blood cells due to PNH. Symptoms or problems that can happen due to red blood cell breakdown include: drop in the number of your red blood cell count, drop in your platelet counts, confusion, kidney problems, blood clots, difficulty breathing, and chest pain. SOLIRIS can cause serious side effects including serious allergic reactions. Serious allergic reactions can happen during your SOLIRIS infusion. Tell your doctor or nurse right away if you get any of these symptoms during your SOLIRIS infusion: chest pain, trouble breathing or shortness of breath, swelling of your face, tongue, or throat, and feel faint or pass out. If you have an allergic reaction to SOLIRIS, your doctor may need to infuse SOLIRIS more slowly, or stop SOLIRIS. 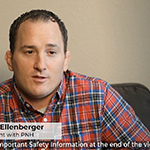 The most common side effects in people with PNH treated with SOLIRIS include: headache, pain or swelling of your nose or throat (nasopharyngitis), back pain, and nausea. 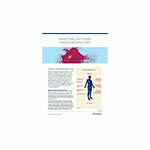 Please see the accompanying full Prescribing Information and Medication Guide for SOLIRIS, including Boxed WARNING regarding serious and life-threatening meningococcal infections, available at: www.soliris.net. This press release contains “forward-looking statements” within the meaning of the Private Securities Litigation Reform Act of 1995 that involve risks and uncertainties relating to future events and the future performance of Alexion, including statements related to: ULTOMIRIS has the potential to be the new standard of care for patients with paroxysmal nocturnal hemoglobinuria (PNH); ULTOMIRIS can provide meaningful benefits for patients with PNH and their families; Alexion will work with regulatory authorities in certain jurisdictions to enable timely review of applications for approval of ULTOMIRIS as a treatment for adults with PNH; Alexion plans to initiate a Phase 3 clinical study of ULTOMIRIS delivered subcutaneously once per week as a potential treatment for patients with PNH and atypical hemolytic uremic syndrome (aHUS); Alexion is planning to initiate the development of ULTOMIRIS, intravenously administered every eight weeks, as a potential treatment for patients with generalized myasthenia gravis (gMG); planned future studies of ULTOMIRIS for other indications; and the potential medical benefits of ULTOMIRIS for the treatment of PNH and other diseases. Forward-looking statements are subject to factors that may cause Alexion's results and plans to differ materially from those expected by these forward looking statements, including for example: ULTOMIRIS does not gain market acceptance and/or is not recognized by patients and physicians as the standard of care for patients with PNH; the benefits (including safety and efficacy) of ULTOMIRIS evidenced in clinical trials are not witnessed in a broader patient population; any potential post-approval restrictions that the FDA may impose on ULTOMIRIS; our dependence on sales from our principal product (SOLIRIS); future competition from biosimilars and other products; decisions of regulatory authorities regarding the adequacy of our research, marketing approval or material limitations on the marketing of our products; delays or failure of product candidates to obtain regulatory approval; delays or the inability to launch product candidates due to regulatory restrictions, anticipated expense or other matters; interruptions or failures in the manufacture and supply of our products and our product candidates; failure to satisfactorily address matters raised by the FDA and other regulatory agencies; results in early stage clinical trials may not be indicative of full results or results from later stage or larger clinical trials (or broader patient populations) and do not ensure regulatory approval; the possibility that results of clinical trials are not predictive of safety and efficacy and potency of our products (or we fail to adequately operate or manage our clinical trials) which could cause us to halt trials, delay or prevent us from making regulatory approval filings or result in denial of approval of our product candidates; unexpected delays in clinical trials; future product improvements may not be realized due to expense or feasibility; uncertainty of long-term success in developing, licensing or acquiring other product candidates or additional indications for existing products; inability to complete planned acquisitions due to failure of regulatory approval or material changes in the target or otherwise; inability to complete acquisitions and investments due to increased competition for technology; the possibility that current rates of adoption of SOLIRIS in PNH, aHUS, gMG or other diseases are not sustained; the adequacy of our pharmacovigilance and drug safety reporting processes; failure to protect and enforce our data, intellectual property and proprietary rights and the risks and uncertainties relating to intellectual property claims and challenges against us (including intellectual property lawsuits relating to ULTOMIRIS brought by third parties against Alexion); the risk that third party payers (including governmental agencies) will not reimburse or continue to reimburse for the use of our products at acceptable rates or at all; failure to realize the benefits and potential of investments, collaborations, licenses and acquisitions; delay of collection or reduction in reimbursement due to adverse economic conditions or changes in government and private insurer regulations and approaches to reimbursement; uncertainties surrounding legal proceedings (including intellectual property suits initiated against Alexion and our products), company investigations and government investigations, including investigations of Alexion by the U.S. Securities and Exchange Commission (SEC) and U.S. Department of Justice; the risk that estimates regarding the number of patients with PNH, aHUS, gMG, HPP and LAL-D and other future indications we are pursuing are inaccurate; the risks of changing foreign exchange rates; risks relating to the potential effects of the Company's restructuring; risks related to the acquisition of Syntimmune and other companies and co-development efforts; and a variety of other risks set forth from time to time in Alexion's filings with the SEC, including but not limited to the risks discussed in Alexion's Quarterly Report on Form 10-Q for the period ended September 30, 2018 and in our other filings with the SEC. Alexion disclaims any obligation to update any of these forward-looking statements to reflect events or circumstances after the date hereof, except when a duty arises under law. Hill A, Richards SJ, Hillmen P. Br J Haematol. 2007 May;137(3):181-92. Hillmen P, Lewis SM, Bessler M, et al. N Engl J Med. 1995 Nov 9;333(19):1253-8. Schrezenmeier H, Muus P, Socié G, et al. Haematologica. 2014;99:922-929. Brodsky RA. Blood Rev. 2008;22:65-74. Weitz I, Meyers G, Lamy T, et al. Intern Med J. 2013;43:298-307. Lee JW, Jang JH, Kim JS, et al. Int J Hematol. 2013;97:749-757. Dacie JV, Lewis SM. Ser Haemat. 1972;5:3-23. 8 Nishimura J, Kanakura Y, Ware RE, et al. Medicine (Baltimore) 2004 May;83(3):193-207. Parker C, Omine M, Richards S, et al. Blood. 2005 Dec;106(12):3699-3709. Socié G, Mary JY, de Gramont A, et al. Lancet. 1996;348:573-577. Shammo JM, Mitchell RL, Ogborn K et al. Blood. 2015;126:3264. Hillmen P, Muus P, Duhrsen U, et al. Blood. 2007 Dec;110(12):4123-8. Hillmen P, Elebute MO, Kelly R, et al. Blood. 2007;110: Abstract 3678. Hillmen P, Muus P, Röth A, et al. Br J Haematol. 2013;162:62-73. Loschi M, Porcher R, Barraco F, et al. Am J Hematol. 2016;91:366-370. Borowitz MJ, Craig FE, DiGiuseppe JA, et al. Cytometry B Clin Cytom. 2010;78B:211-230. Rachidi S, Musallam KM, Taher AT. Eur J Intern Med. 2010;21:260-267. Morado M, Freire Sanders A, Colado E et al. Cytometry Part B (Clinical Cytometry). 2017;92B:361-370. Hill A, Kelly RJ, Hillmen P. Blood. 2013;121:4985-4996. Sharma VR. Clin Adv Hematol Oncol. 2013;11(suppl 13):1-11.